The Wisconsin Trapshooting Association is always busy. If you would like to get involved, contact your WTA representative for what you can do for the WTA. We are always posting information about our latest projects and what you can do to help us. Go to our News page to see what we have been up to lately. Please follow any of the links below to learn more about the WTA, what we do, who we are and how you can join us. The WTA Shooting Complex is open from May 3, 2019 – September 29, 2019, Friday (noon-5pm); Saturday & Sunday from 9am – 5pm or by appointment. Please contact Amy Jenkins at (888) 704-6588 or asjenks13@gmail.com to schedule your shooting event. 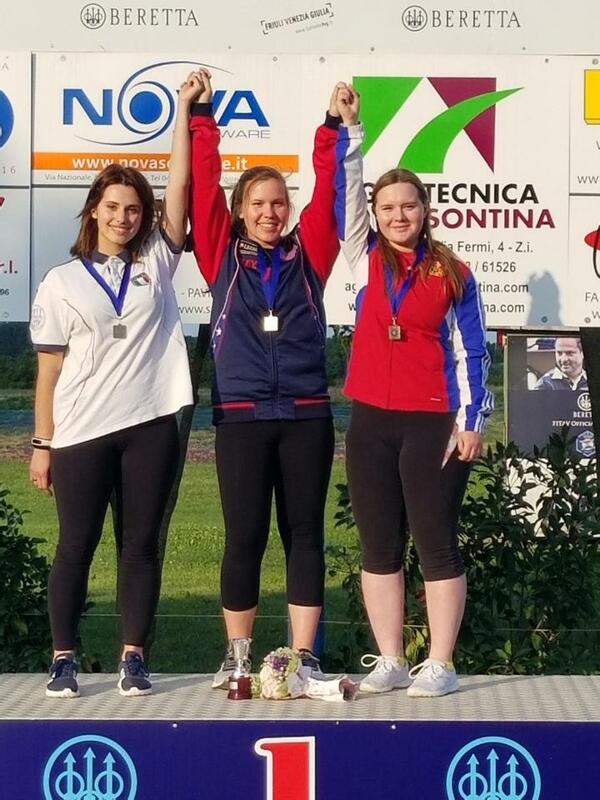 Congratulations to the Maddy Bernau – she took the gold metal in Italy!!! !